"I hope one day magkaroon lahat ng kapatawaran ito," said controversial businessman Xian Gaza, 24, by way of apology to his former business partners and employees. 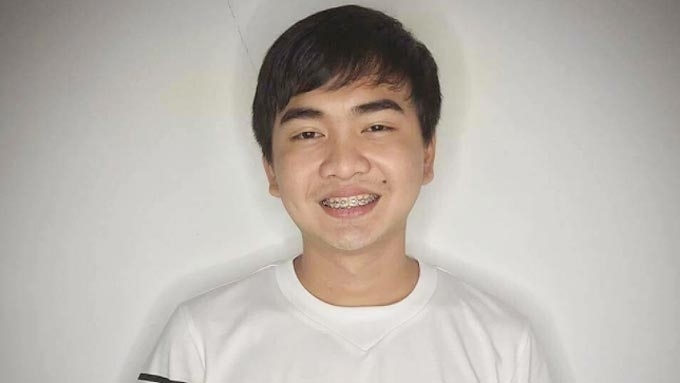 After being vilified by netizens, young businessman Xian Gaza deleted his posts on his social media accounts. This, after giving a statement that he would not delete anything already posted. Now, the only remaining posts on his Instagram account are the photo and video showing the billboard he mounted to invite Erich Gonzales for a coffee date, and a fan picture with the Kapamilya actress. His Facebook only shows his last two posts. Up until yesterday, July 4, he had kept the comment option of his Facebook page open in a post where he admitted that he was a former scammer. 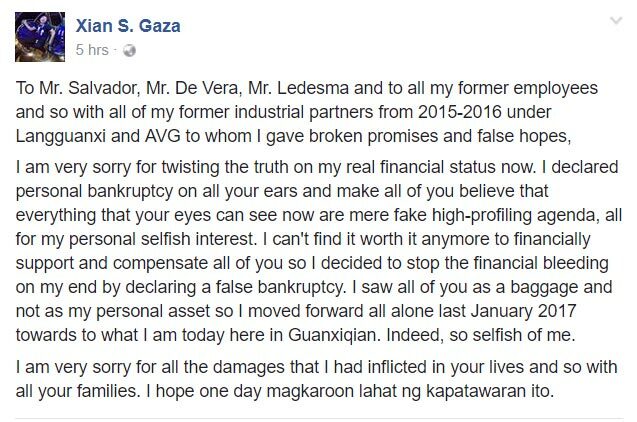 Businessman Xian Gaza admits to being a "former scammer"
SUV DEAL. 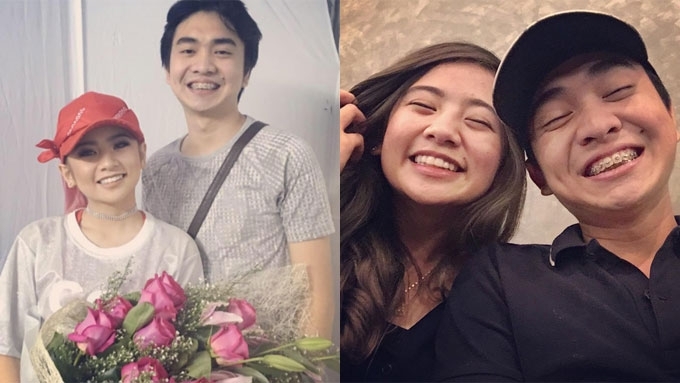 One of Xian's two remaining FB posts was a response to the accusation of actress Ella Cruz's mother, Jesica Cruz, that he issued them a bad check to purchase their Toyota Fortuner. In an exclusive interview with PEP.ph (Philippine Entertainment Portal) yesterday, Jesica related that Xian gave them a post-dated check as down-payment for their vehicle. She said the post-dated checks turned out to have insufficient funds. Moreover, the 24-year-old businessman decided to back out on their deal and returned their vehicle. Xian, using his FB account, explained his decision to PEP: “I personally pressured myself to take it dahil gusto ko silang i-impress kahit wala naman akong paggagamitan ng unit at wala ring siguradong buyer. “When I found out that the unit is roughly 500K-550K ang market value at luging-lugi ako, there I decided not to fund it anymore and nagkasundo nalang na magsolian ng unit and so with my downpayment. QATAR SHOW. 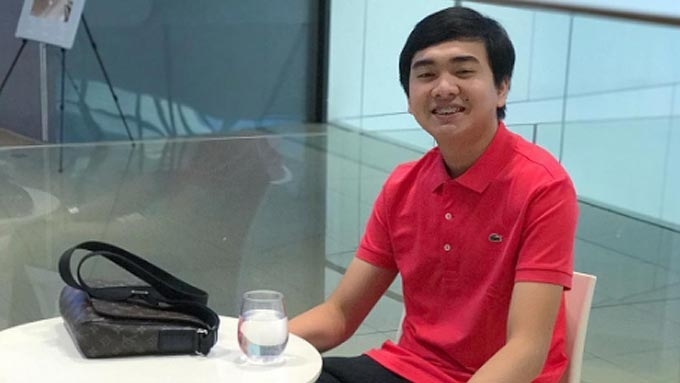 The young businessman, who described himself as a CEO of a startup company based in Hong Kong, also reacted to accusations that he received money from Ryan Salcedo Tañada for a supposed event in Qatar. Xian admitted to receiving the amount of P200,000 as down-payment for an event in Qatar in which Tañada was the executive producer. But his explanation made things murkier: "Without the knowledge of Mr. Tañada, the 200K Pesos was diverted to the operation expenses backlogs of Gazera Media na company namin ni Mr. Walter De Vera who is the founder of Filipino Vines community. According to Xian, the business did not do well, and he stopped funding the company, until he declared bankruptcy. HAIYAN SHIRT PROJECT. In the same long Facebook post to PEP, Xian clarified the charity project he initiated for Yolanda/Haiyan survivors. 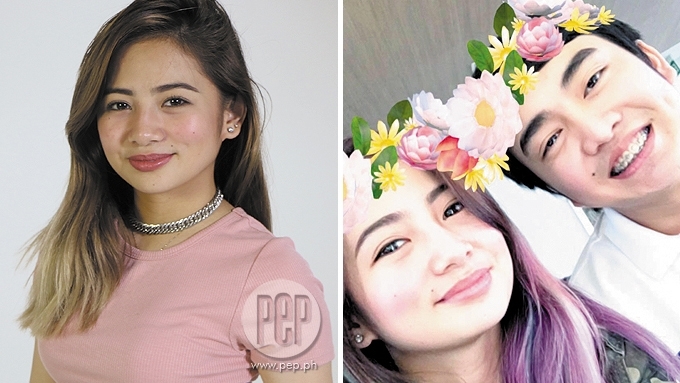 A netizen named Dewanie Catapang alleged, in a series of Twitter posts yesterday, that Xian was a scammer. Her long Twitter thread cited instances, including the Haiyan project, to back up her claim. But Xian has insisted that The Haiyan Shirt Project was legitimate, except that it did not materialize. The young CEO said he ended up using his personal money for the initial capitalization of the project. He added that there were about 2,000 T-shirts produced in Davao that were sold, but that these were distributed to various charitable institutions. PERSONAL BANKRUPTCY. 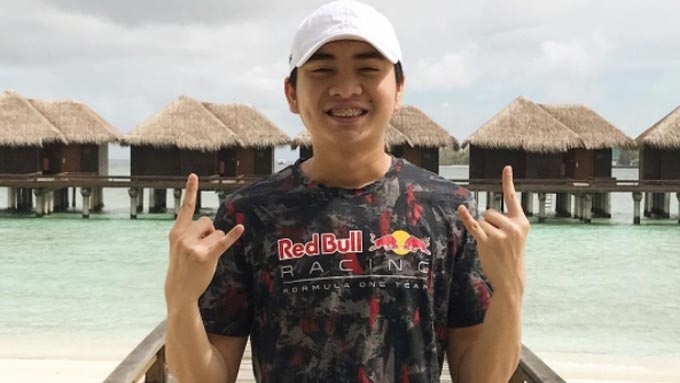 In his post earlier today, July 5, Xian apologized to his former business partners and employees in his now-dissolved companies, Langguanxi and AVG. This year, Xian claimed that he decided to go solo in his new business company, Guanxiquian.